The Bruins dug themselves an early hole against the Canucks after dropping two heart-breaking games in Vancouver. I thought it was over, as did many. However, the Bruins stormed back and eventually won in seven games. How did this happen? 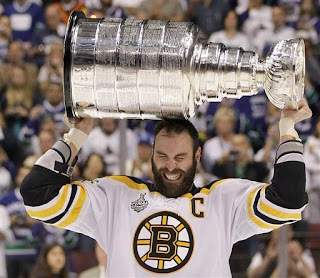 How did the Bruins complete the comeback after losing the first two games against the President’s Trophy winners? What went right for the Bruins and, maybe more importantly, what went wrong for the Canucks? Despite falling behind the Canucks 2-0, the Bruins were able to get back in the series by throttling Vancouver at home in games 3 and 4. The manner in which they beat the Canucks shifted all the attention on Roberto Luongo’s playoff struggles, which were seemingly over after a strong stretch of games starting in game 7 against Chicago. These wins definitely shifted momentum in the Bruins favour. They only lost games 1 and 2 by a single goal, so they clearly knew they were in the series, but throttling the Canucks at home proved they could take over the series and were not your typical underdogs. Obviously, when your goalie allows the least amount of goals in any seven game series in the history of the NHL you have a good chance of winning. Thomas has completed one of the greatest full seasons by a goaltender ever and that’s hard to match by anyone. Opposing Thomas added to the intense pressure Luongo was already under. You can look to the other end of the rink and know that even letting in a single goal will likely result in defeat. That’s a hard mentality to play with. Luongo’s comment about Thomas’ style after game 5, which was blown out of proportion and made it seem much more derisive than it really was, gave the Bruins an even greater edge heading back home in game 6. I’m unsure why Luongo would make a comment that could even slightly be construed as taunting before heading into a building where he had no previous success; and Luongo said something that was easily seen as a challenge! To the best goalie in the league! Not a good move. Marchand did everything in this series that Alex Burrows and Ryan Kesler were supposed to do. Burrows was his typical self during the first two games, biting and scoring his way into the hearts of no one in Boston, but lost everything that made him effective from that point on. For Boston, Marchand was a hellion, skating around the ice un-policed. He disturbed the Canucks in everyway imaginable – hitting, punching, and scoring. Vancouver had no answer for him. They basically let him torment them. For a roster with Kesler, Burrows, Max Lapierre, and Raffi Torres to have no counter to Marchand is baffling. Once Boston got back to old-time Bruins hockey, the Canucks backed-off, save for game 5, when Alex Edler threw 10 hits alone. The Bruins had their way with the Canucks physically. 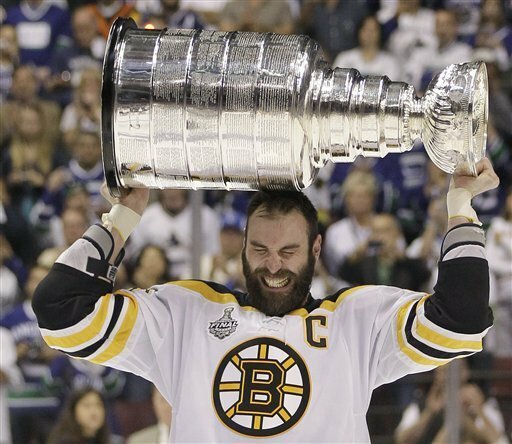 One of the enduring images of the series will be Brad Marchand punching a Sedin repeatedly in the face without consequence. The refs clearly weren’t calling the series very tight and the Canucks simply tried to goad them into making calls, rather than matching the Bruins physically. At some point you have to realize turning the other cheek isn’t working; you have to fight back. The Canucks weren’t able to do this. What should have been the most effective counter to the Bruins – the Canuck power-play – was absolutely dormant. The Canucks failed to make the Bruins pay on the penalties the referees did call. This was a tremendous job done by the Boston penalty killers, who effectively smothered the league’s number one ranked power-play. Injuries are no excuse in the playoffs because everyone is dealing with them, but the loss of key members on defence like Dan Hamhuis really helps explains how the Bruins rallied back from a 2-0 deficit. Winning becomes much more difficult when one of your top defencemen is out. The injuries and suspension to Aaron Rome forced Keith Ballard into action, which was a very tough spot for a player who was a healthy scratch at times during the season. Ballard responded with what might be the worst game of his career and, not surprisingly, didn’t get the call to start in any game after, being replaced by Chris Tanev, who had all of 29 games of regular season experience. The Bruins did an incredible job of completely eliminating both the Sedins and Kesler. They were non-factors throughout the entire series. Any time that they did look dangerous, Thomas was there to shut the door. People are laying the blame on Luongo pretty hard, but he’s tied with a whole bunch of other players with 0 goals against the Bruins.